# 1 of 211 facilities. # 2 of 211 facilities. # 3 of 211 facilities. # 4 of 211 facilities. MAYGROVE Retirement VILLAGE Orewa is a place that you can call home. Enjoy the opportunity of a great retirement life. # 5 of 211 facilities. # 6 of 211 facilities. # 7 of 211 facilities. At Avondale, we believe in providing personable, compassionate, safe, respectful care, adding value to the quality of everyday living. Our facility is especially built for aged care needs. Our dedicated and experienced team are here to attend to both your everyday and urgent requirements. # 8 of 211 facilities. # 9 of 211 facilities. 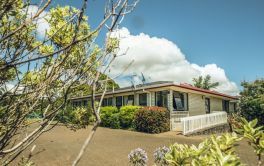 Lynton Lodge Hospital in Westmere, Auckland is owned by Sunrise Healthcare and provides professional long and short term care in a cottage hospital environment. # 10 of 211 facilities. # 11 of 211 facilities. # 12 of 211 facilities. # 13 of 211 facilities. # 14 of 211 facilities. # 15 of 211 facilities. # 16 of 211 facilities. # 17 of 211 facilities. 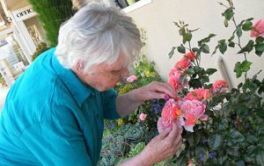 POWLEY Retirement Village, Auckland - offering retirement villas and serviced apartments. # 18 of 211 facilities. GREENVIEW PARK Retirement VILLAGE located in Auckland. # 19 of 211 facilities. # 20 of 211 facilities. # 21 of 211 facilities. # 22 of 211 facilities. # 23 of 211 facilities. # 24 of 211 facilities. # 25 of 211 facilities.